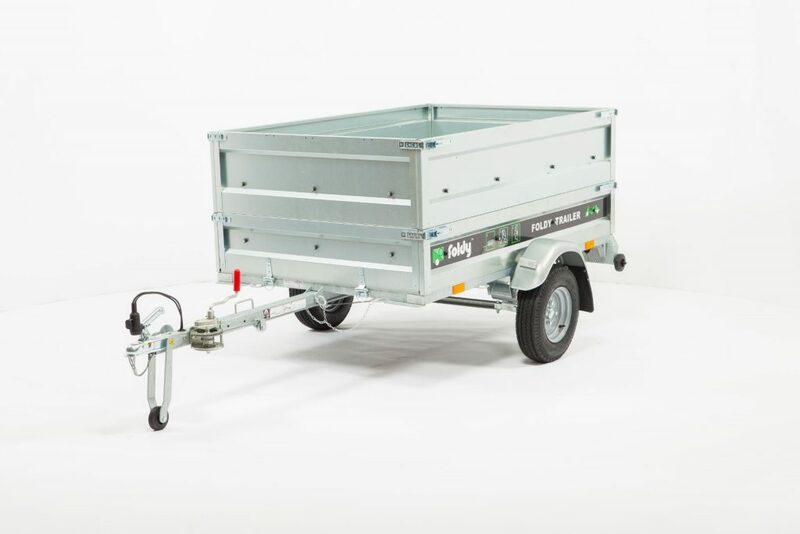 The most dynamic, convenient and easy to store trailer around. The Foldy’s unique folding mechanism makes it easy to store away, taking up minimal space in your garage. 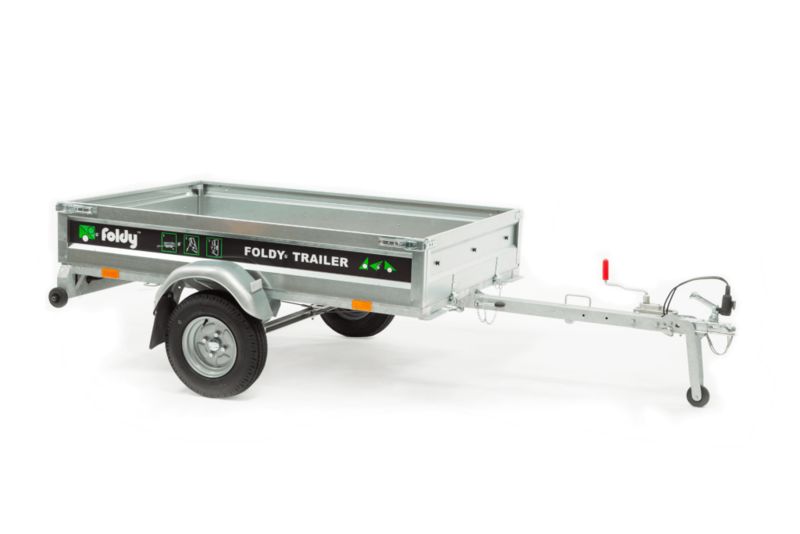 Engineered for a variety of lifestyles, the Foldy trailer is suitable for gardening, DIY, camping, taking your bikes out into the country and light commercial use. 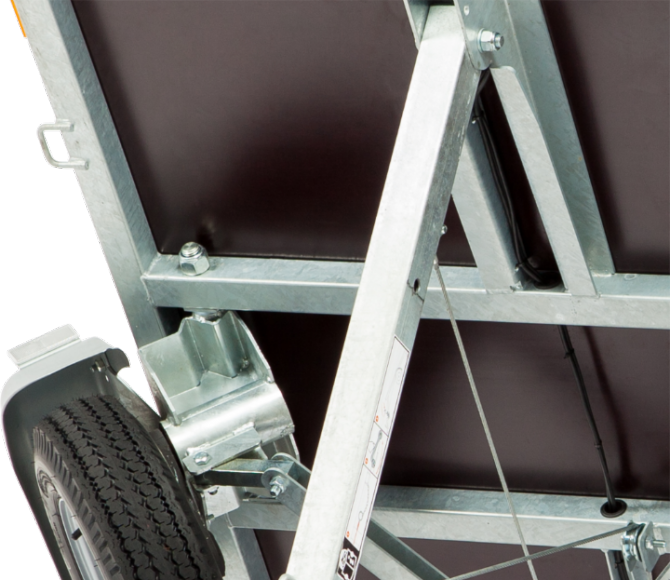 With its wide range of easy to install accessories, the Foldy can be transformed to suit a wide range of applications. 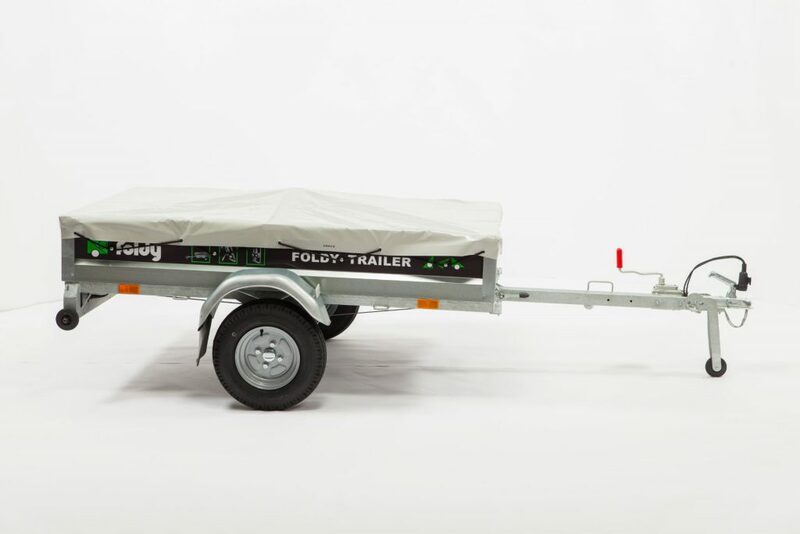 The Foldy’s unique folding mechanism makes it easy to store away, taking up minimal space in your garage. Out of sight, but never out of mind. 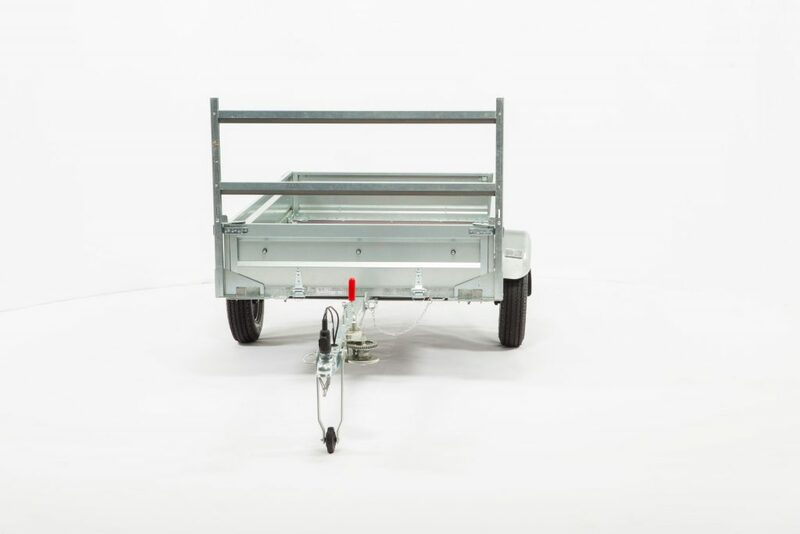 Your Foldy trailer is always ready for any planned or spontaneous outdoor activities and adventures. 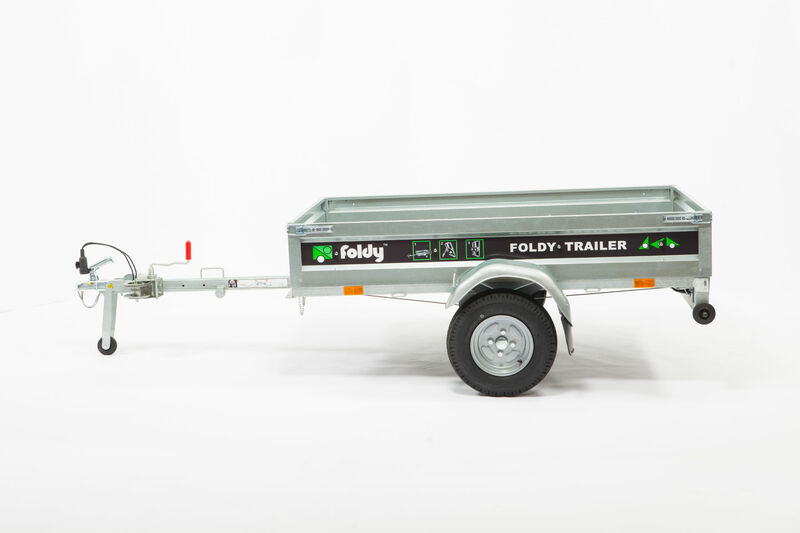 Foldy is the only trailer you will ever need and want to show off to your friends about. When folded, the Foldy’s footprint is only 140cm by 37cm and stands 195cm tall. 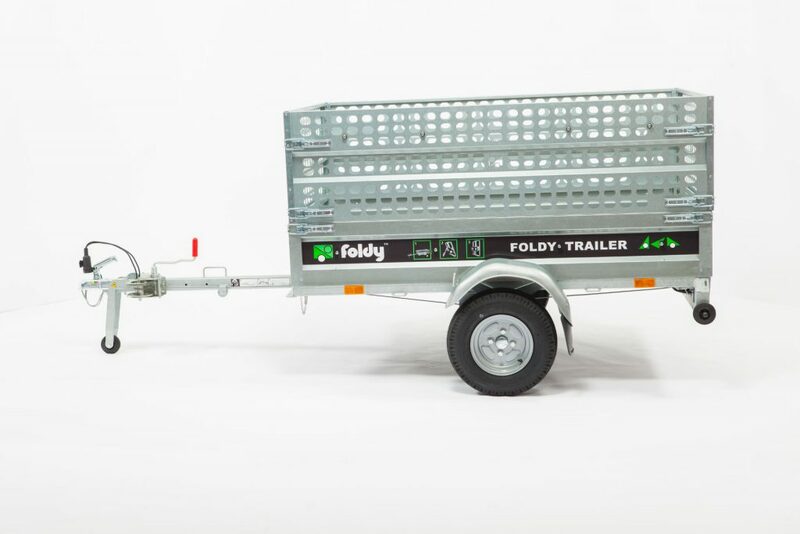 The Foldy’s high quality welded steel construction ensures it will remain solid, roadworthy and reliable, providing you with unmatched utility and service. 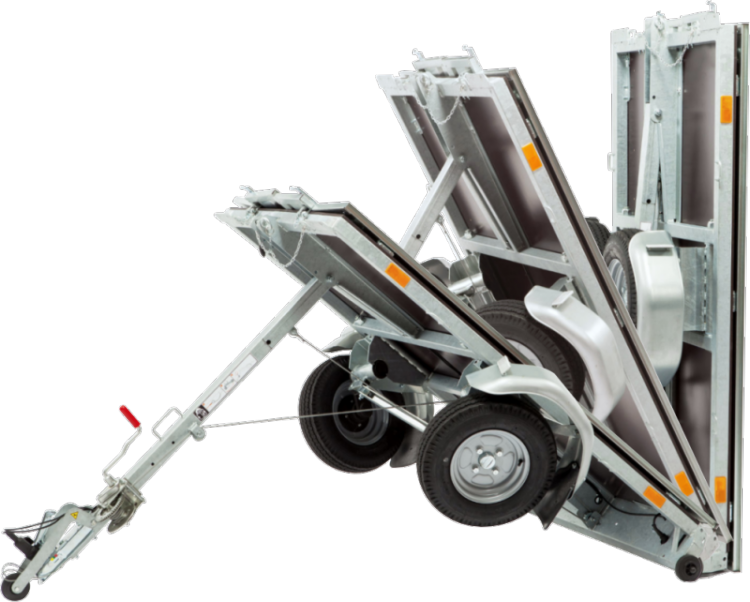 All load-bearing points have been reinforced to endure a lifetime of high usage on all road surfaces. 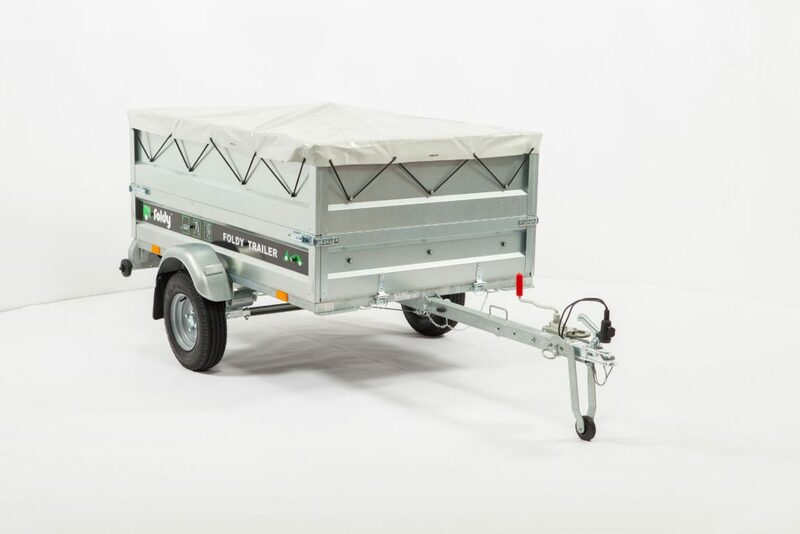 The Foldy’s steel frame has been fully galvanised and zinc plated, providing long-term durability and maximum protection against the elements for many years to come. Copyright © Dynovation LTD. All Rights Reserved. Foldy is registered to Dynovation LTD.